Home › Pix of the Trade › Star power! 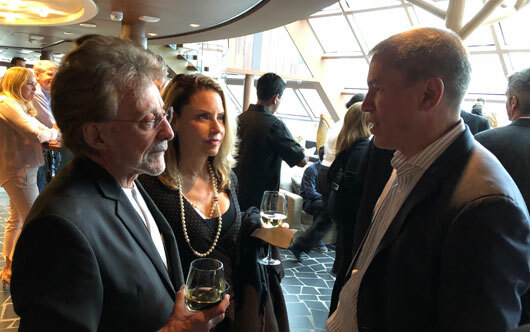 Norwegian Cruise Line president Andy Stuart (r) speaks with music legend Frankie Valli, who made a special guest appearance this past weekend aboard the new Norwegian Bliss in New York. Featured entertainment aboard the ship includes The Jersey Boys. ‹ Fast & Furious at Universal!